Occasionally, even the most experienced outdoors people find that they have broken the glass chimney on their lantern. 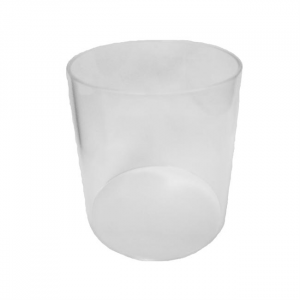 No problem - replacement glass available in case you find yours broken. This rugged, waterproof, airtight organizer combines endlessly with containers that lock into each other with a twist. It's perfect for gear you need to keep dry, safe and easy to find. The Light My Fire Extra-Medium Spork is longer than the original for reaching into deep freeze-dried food bags and pots. The Light My Fire FireSteel(R) Scout 2.0 Fire Starter tool is a handy, reliable way to light your campfire, gas stove or home barbecue. This sleek Light My Fire Meal Kit 2.0 features a modern design and ergonomic functionality, a great choice for your backpack, boat, picnic basket or lunch box. Sometimes "going out for dinner" means sharing it outdoors. The Light My Fire Pack'n Eat kit includes the essentials you need to enjoy a campfire meal for two. Because pretzels are better than pretzel dust, the Light My Fire SnapBox Original containers provide waterproof snack protection. Plus, they're stackable, floatable and easy to open and close. Say goodbye to squished snacks with the Light My Fire SnapBox Oval containers. Stackable, waterproof and easy to secure, they'll protect your lunch from destruction in the backcountry. Already a spoon and fork, a serrated edge makes the Light My Fire Spork a knife as well, offering all-around utility in 1 handy utensil. For our southpaw backpacking and camping friends, the Light My Fire Spork Lefty gives you the convenience of a spoon, fork and serrated knife in a single left-handed utensil. Light My Fire Spork Little combines a fork with a spoon and is designed specifically for infants and toddlers. 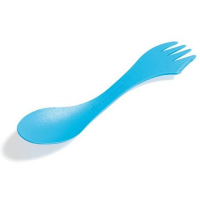 A single, lightweight utensil with a spoon, fork and serrated knife all in one, the Light My Fire Spork is ideal for camping, backpacking or your office desk drawer. The Light My Fire Sporks'n Case includes 2 sporks and a handy case that you can take car camping or backpacking.